Both CNAs and LPNs provide direct patient care. If getting started in nursing is more important at the moment than earning the big bucks, look into a job as a certified nursing assistant or licensed practical nurse. These are start-at-the-bottom jobs, but the good news is the demand for CNAs and LPNs has been heading in a positive direction. 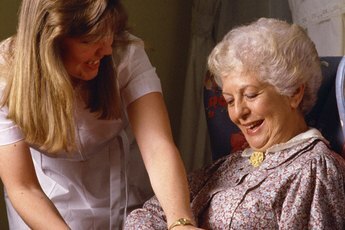 It can take only a month to become a CNA and start providing basic patient care as a nurse's aide. It can take just one to two years to become an LPN and provide higher-level care to patients. As you might expect, an LPN earns more than a CNA. A CNA may be the lowest man or woman on the nursing totem pole, but the position is essential to keep healthcare operations running smoothly. As nursing assistants, CNAs provide basic care to patients, such as bathing them, helping them eat or walk and changing their linens. LPNs are a notch up from CNAs and provide higher-level care, such as administering medication, taking blood and monitoring reactions to medical treatments. An LPN can do everything that a CNA does, but a CNA cannot do everything that an LPN does. The good news for CNA candidates is that you can complete the education requirements for your CNA in a matter of weeks by taking a state-approved certification course. Many hospitals, community colleges and private companies offer CNA courses, which can last from a few weeks to a few months. Becoming an LPN takes from one to two years, depending on how quickly you complete an accredited LPN course at a community college. Some LPNs take the CNA course first, and work as a CNA while they attend classes to become an LPN. Some LPNs continue to take classes and earn the four-year nursing degree required to become a registered nurse. Before you can work as a CNA, you need to become certified. 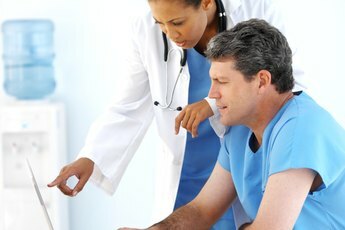 Before you can work as an LPN, you need to become licensed. While the requirements vary a little from state to state, a CNA generally needs to pass a written exam and skills test to earn a certification. The certification is good for two years and then needs to be renewed. An LPN has to take and pass the national certification exam, NCLEX-PN, and a state licensing exam. LPN licenses are also valid for two years, but an LPN needs to have a certain number of hours and continuing education credits to renew a license. As the "baby boomers" in the United States get older, the demand for both CNAs and LPNs is projected to grow faster than other occupations, according to the Bureau of Labor Statistics. 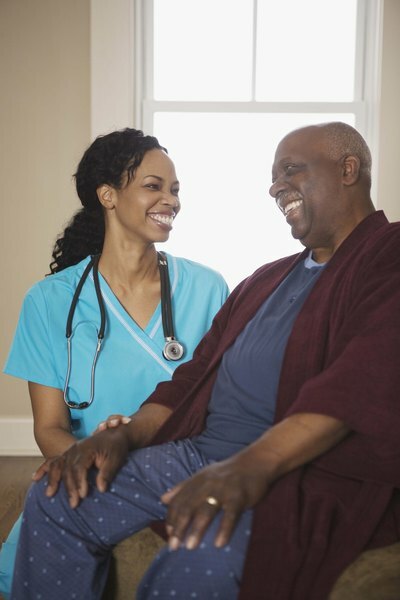 There are job opportunities for both CNAs and LPNs in nursing homes, extended-care facilities, hospitals, physicians' offices and private homes. In 2010, LPNs earned a median annual salary of $40,380, while CNAs earned a median annual salary of $24,010.